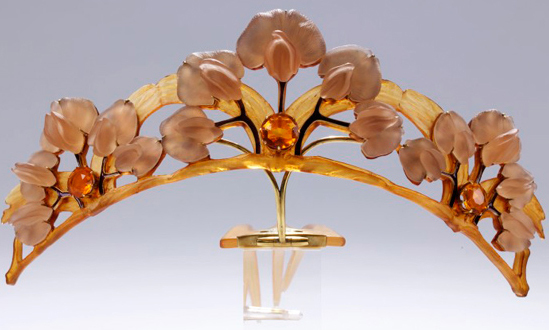 Lalique introduced horn into the jewelry repertoire. 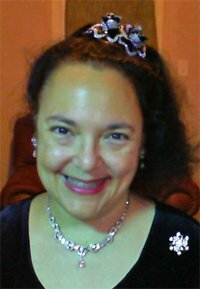 In this tiara, c. 1902, the iridescent horn has different hues, lighter in the center, darker on the sides. The flowers have diamond centers. 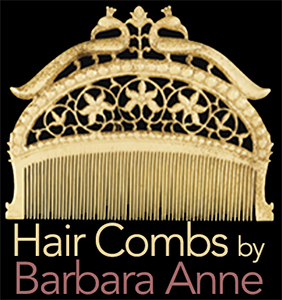 A gold hinge attaches the tiara to a three-pronged tortoiseshell comb. Lalique uses a curved horn base to showcase flowers cast in glass with fire-opal centers. 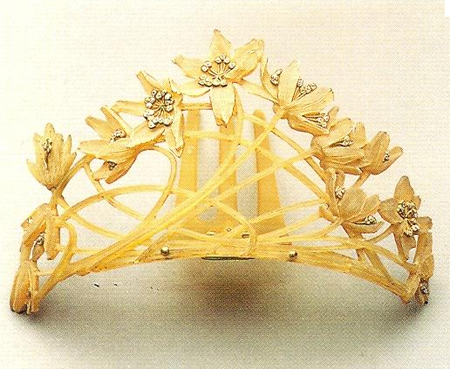 The tiara resides in the Victoria and Albert Museum and was made c. 1903-4. This orchid was made by Lalique’s Belgian contemporary Philippe Wolfers. 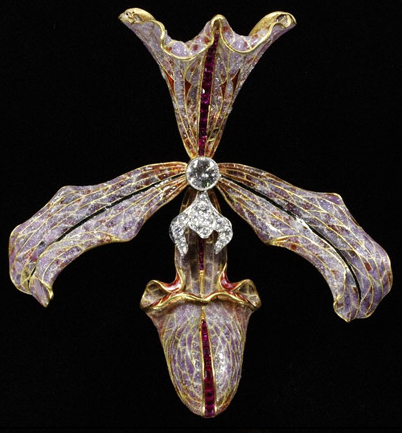 He chose gold, enamel, diamonds, and rubies, as opposed to Lalique’s orchids, which are made of horn and ivory. The Victoria and Albert Museum also owns this piece, c. 1905-7.